Last night I woke up in a sweat. 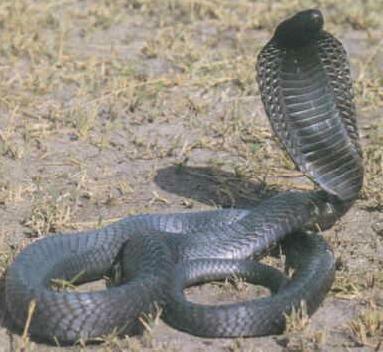 I had a dream that I was surrounded by snakes, cobras, in fact. Yikes. I hate snakes…so why was I dreaming of them? Of course I had to come right in and research the meaning of my dream. I could only think it related to my current struggles. Did you know they have a website for that? Not just for interpreting dreams, but interpreting snake dreams…who knew? Well, I definitely do not think it’s the Freudian interpretation. Hmmm…I don’t think. I mean, really. It’s been over a year since I have been laid. And there is no desire at this time to pursue that type of “snake”. But any of the others could totally be plausible. As the first one states, I am definitely in the process of healing and resolving. That is a good sign. The second one…I could have some untapped resource…not sure about that one though. As my job search continues, it seems my resources are slimming. But who knows, maybe there is an “untapped resource” which will just fall in my lap one of these days. Wouldn’t that be nice! I’m afraid to think about the third one. I think I am running solely on “instinctual drive” right now. My instincts say, “Stay afloat. Keep going. You will find a job and a new place to live soon.” My fear is driving me. And that fear stirs my soul oh so much that I must act in order to quell it. I can’t sit and wait to see what comes. I must act. And the fourth one…applies oh so well. I am definitely in a time of transition and transformation. So much so, that it is indeed scary. In my dream, I was surrounded by snakes. Everywhere I went, there was another one and I couldn’t ignore my fear of them, as much as I tried. Dammit, I am scared right now. I am scared to the bone of losing my job and a place to live. Part of me knows that all will be fine and even if I don’t get either squared away immediately, peace will come shortly after. But that does not stop me from feeling that cold dread that comes with finding out your sense of security is about to be shattered. I will keep focusing on the positive change that is coming and keeping the fear to my dreams, just below the surface. I know things will work out fine in the end. I know this. They always do. This entry was posted in Uncategorized and tagged change, cobras, dream interpretation, dreams, fear, Freudian, homelessness, hope, hopelessness, insecurity, job hunting, phallic, positive, security, snakes, transformation, transition, unemployment. Bookmark the permalink. As far as I can tell based on my culture being heavily influenced by our Chinese neighbors in Asia. They do mean luck and even better if got bitten which means prosperity. A snake turning into a dragon means someone will be extending help to your misfortune. In this case you said you were surrounded. I would really love the thought of being surrounded by good luck! I will think positively on this one. Thanks for the info!